2019 Infiniti QX60 Trim Levels with Comparisons & Configurations. What 2019 Infiniti QX60 Trim Level Should you Buy? 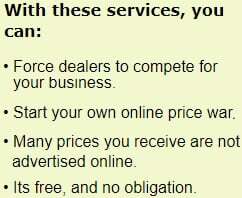 What is the Difference Between Trims? If you are looking for a luxury SUV with a pleasant ride quality, a nicely muted cabin, and a ton of standard infotainment features, then the 2019 Infiniti QX60 will likely strike your fancy. This vehicle might not have a lot of trim levels to choose from, but what it has is solid. There aren't multiple engine options to select from. Both the base Pure trim and the line-topping Luxe are equipped with a standard 3.5-L V6 engine that is paired up with continuously variable automatic transmission (CVT). Normally, CVTs do not mesh well with luxury vehicles due to the weird way they deliver power when you hit the gas pedal to accelerate, but this one is actually pretty decent. This well-mannered powertrain is able to generate 295 hp and 270 lb-ft of torque, which is more than enough to get the QX60 up to speed on the highway. Also, while front-wheel drive comes standard on both trim levels, all-wheel drive is available as an option if you would prefer to have that. On the downside, the QX60 does not handle with the amount of precision that you might expect from a luxury vehicle. Also, the QX60 focuses more on pure luxury than it does on sport, hence the lack of Infiniti's typical Sport trim level. There really are not any off-roading capabilities or even options that you can slap onto the QX60 to make it worthy of an off-road adventure. To be quite frank, if you are looking for something athletic, then this is not the vehicle for you. But the 2019 Infiniti QX60 might be the vehicle for you if you want a luxurious daily driver that you can safely tote your kids around in. So, what exactly is it that makes the QX60 such a promising purchase? Which trim level will fit in best as a new addition to your family? Read on through to the end of this comparison review to find out. By then, you should have a clearer concept of which Infiniti QX60 trim level - if any - presents you with a deal that you cannot resist. 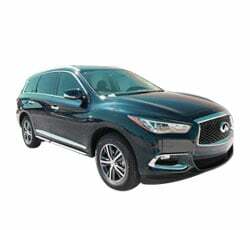 Compare the 2019 Infiniti QX60 Pure vs Luxe Trim Levels. What is the difference? This is a pretty straightforward trim level comparison since the 2019 Infiniti QX60 gives us just two trim levels to discuss. 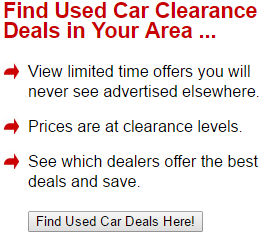 First and foremost, we have the base Pure trim level. This trim comes with a double overhead camshaft valvetrain with four valves for each of the six cylinders. The opening of the intake valves is maximized by the CVT, which has sequentially selectable manual gearshifts. There is also a drive mode selector that lets you choose between the different driving modes: Sport, Standard, Snow, and Eco Mode. It also works to control the transmission mapping and the engine's throttle responses. Of course, you can choose between front-wheel or intelligent all-wheel drive on this trim and the Luxe, which also has the same mechanical specs. Furthermore, both trim levels come with vehicle speed-sensitive power steering and have a curb-to-curb turning diameter of 38.7 feet. As far as the suspension goes, the front is an independent suspension that is composed of a stabilizer bar and coil springs. The rear is an independent, multi-link suspension with a stabilizer bar, coil springs, and shock absorbers. The ventilated disc brakes are 4-channel ABS, 4-wheel, and 4-sensor in their design. Also, both the Pure and the Luxe trim levels ride atop standard 18-inch triple 5-spoke aluminum alloy wheels equipped with all-season tires. On the Luxe, however, you can opt for either 20-inch split 15-spoke aluminum alloy wheels with all-season tires or 20-inch split 20-spoke dark finish aluminum alloy wheels with all-season tires adorned with black center caps. Exterior features on the Pure and Luxe trim levels can look pretty similar. Both of these trims come with LED daytime running lights, automatic on/off bi-functional headlights, integrated LED front fog lights, LED taillights with a center high mounted stop light, a tinted glass power-sliding moonroof, and a power rear liftgate for easy access to the cargo area. Also, both trims give you an integrated rear spoiler, solar glass that reduces the penetration of UV rays into the cabin, rear privacy glass, front door handle courtesy lights, power-folding side mirrors that are heated and have integrated turn signals, front windshield wipers that are speed-sensitive flat blades, a timed defroster for the rear windshield, aluminum door sill plates for the front and rear, and a body-colored shark fin antenna. The Luxe adds a standard rear bumper protector and roof rails. It also has options for rain-sensing wipers, illuminated kick plates, roof rail cross bars, auto-dimming side mirrors, a motion-activated liftgate, dark chrome accents, and a panoramic moonroof for the second and third rows of seats. On the inside, the Pure and Luxe both possess intelligent key with an illuminated push-button ignition, a tri-zone automatic climate control system, rear seat heating vents located underneath the first and second rows of seats, cooling vents mounted on the rear console, power windows with one-touch up/down and illuminated switches, and power door locks with an automatic locking function. Also, these two trims come with retained accessory power for the moonroof and the windows, extensions and illuminated vanity mirrors on the front sun visors, an overheard storage compartment for sunglasses, two map lights up front, reading lights for the rear, front door pockets, map pockets for the backsides of the front seats, a folding armrest with storage built into it in the second row, carpeted floor maps up front and in the rear, and USB charging ports for all three rows. Additionally, the Luxe comes with a heated steering wheel and has options for an eco pedal, an advanced climate control system, and a unique floor mat kit. Both trim levels are adorned with leatherette-appointed seats. You get to enjoy sitting in a driver seat that's 8-way power-adjustable, and the front passenger seat is 6-way power-adjustable. Each of the front seats is heated for your comfort, too. The second row of seats is 60/40 split-folding and are a sliding bench. The third row of seats have a 50/50 split with the ability to recline. Graphite weave interior trim decks the cabin out, and a leather-wrapped shift knob and steering wheel come standard. The Luxe has options for adding contrast stitching to the steering wheel, a black headliner, dark silver-hued wooden accents, maple interior trim accents, power return for the seat backs on the third row, climate controlled front seats, heated outboard second row seats, and hourglass seat quilting for the first two rows. While the Pure trim features a standard 6-speaker sound system, the Luxe gets upgraded to the 13-speaker Bose premium sound system. On this trim, you can also opt for the Bose Centerpoint 15-speaker sound system. Other standard infotainment features on both trim levels include Bluetooth connectivity, two USB charging ports for an iPod and other compatible devices on the center console, six charge-only USB ports divided among all three rows, controls mounted to the steering wheel that are illuminated, SiriusXM Satellite Radio, and HD Radio. If you want, you can buy wireless headphones for the Luxe as add-on features. The instrumentation features on these two trims are pretty similar. The Pure and Luxe both have electroluminescent gauges, an intelligent-view display, a power tilt-and-telescoping steering column, a hands-free phone system via Bluetooth, an 8-inch color vehicle information display, voice recognition, a trial subscription to SiriusXM Travel Link, a rear view monitor, cruise control, the HomeLink universal garage door opener mounted onto the auto-dimming rear view mirror, and hill start assist. The Luxe has a standard remote engine start system. It also leaves options open for a navigation system, a dual 8-inch monitor set-up, a USB port and HDMI port that is mounted to the rear console, a 12-v power outlet, a 120-v power outlet, Infiniti's Intouch safety services, voice recognition for the navigational features, a surround-view monitor, intelligent cruise control, a front and rear sonar system, high beam assist, a wireless remote control, and distance control assist. Other standard safety features on both trims include a blind spot monitoring system, brake assist, a predictive forward collision warning, forward emergency braking with pedestrian detection, vehicle dynamic control, traction control, a tire pressure monitoring system, and LED taillights. The Luxe has options for lane departure warning, active trace control, and blind spot intervention. Also, standard security features on both include remote keyless entry, an engine immobilizer, an anti-theft alarm system, and an auto hazard warning signal. Both trims have an option for adding air bag anti-theft bolts. 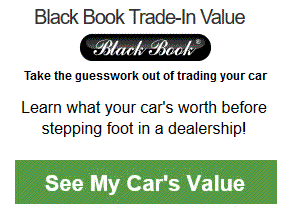 So, which trim level presents the overall best deal? We have to give that honor to the line-topping Luxe trim. While the Pure is well-equipped, it just does not have as many options for customization as its counterpart. The Luxe adds enough standard featurs to make it worth the elevated price tag and leaves a good number of options open for really customizing the QX60 to fit your needs. With a starting MSRP of less than $2,000 more than the Pure, it is easy to justify spending that little bit of extra cash on all of the frills and thrills that the Luxe trim has to offer.